Ann Arbor, Michigan - September 8, 2007 - Humble Daisy, Inc is pleased to announce their "What I Did Last Summer"contest. Take a trip? Invent something? Explore new leisure activities? Volunteer? Teach? Graduate? Retire? Whatever you did, the purveyors of ProfCast want to hear about it. Humble Daisy wants to know what cool things users did this summer, and want them to use ProfCast to tell them. 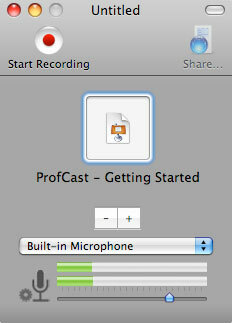 ProfCast is Humble Daisy, Inc's flagship lecture recording and podcast creation software. 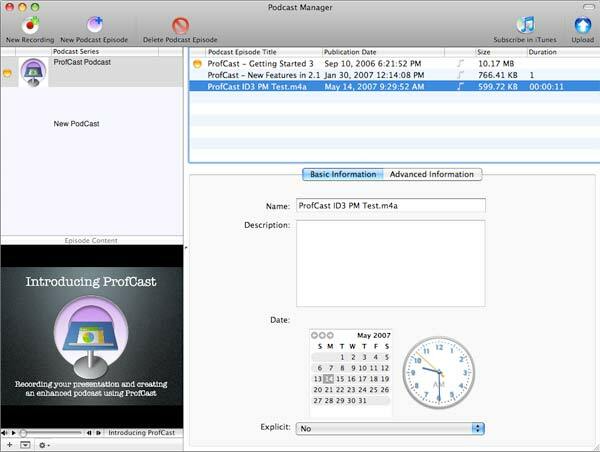 ProfCast is a versatile, powerful, yet very simple to use tool for recording and distributing lectures, special events, and presentations as podcasts. The contest will be judged based on the quality of the content, entertainment value, educational benefit and adherence to the specifications. All entries must be recieved by 12 o'clock AM (EST) October. 19, 2007. "We are really interested in the creative endeavor and story telling aspects that ProfCast allows." said David Chmura, president of Humble Daisy, Inc. "I am really excited about this contest, and I hope that it inspires some great story telling." Prizes include a new 8 GB iPod Nano and a complementary license for ProfCast for their use. Winners will also receive a 30 seat site license to be donated in the winner's name to the qualified academic institution of their choice. No purchase is necessary to win. Winners will be announced in a press release and in the ProfCast Monthly news letter on November 6th 2007. The husband-wife team of David and Michael Chmura founded Humble Daisy, Inc in 2002. The company's goal is to provide simple and elegant, user-centered solutions to facilitate personal and professional success. Humble Daisy is based in Ann Arbor, Mich.